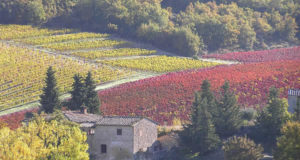 Langues Services Firenze and The Watermill at Posara invite you to their original Italian language holiday courses 2015. You’ll learn Italian while enjoing a marvellous vacation in unspoilt Lunigiana, a region in the North of Tuscany nestling between the Apuan Alps (where Michelangelo found the marble for his artworks), the Apennines and a few steps from the Cinque Terre. 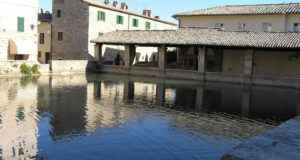 You’ll stay at a beautiful and finely restored ancient watermill, overlooking the river, the gardens and the mountains. Our week-long language holidays will be conducted by mothertongue teachers and are designed for learning Italian in the most “natural” way ever. You’ll experience a full immersion in the language and culture of real Italians, customised for you, to suit your curiosity and interests. You’ll enjoy the atmosphere of walled medieval towns and hill-top villages, sampling true Italian cooking at the watermill and at local restaurants. You can visit a local vineyard, stroll through a weekly street market, take a clifftop walk in the Cinque Terre… all the while learning Italian. You will stay at the beautiful Watermill of Posara: an ancient mill in a complex of historic buildings, where all the rooms and bedrooms are decorated with unique artworks. The grounds of The Watermill include gardens and secluded paths along the riverside. 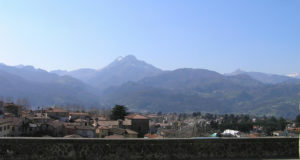 Furthermore, from the gentle valley where the Watermill is set, you’ll enjoy the view of the Apeninnes peaks. Lunigiana, with the natural beauty of its mountains, river valleys, vineyards and olive groves will amaze you. 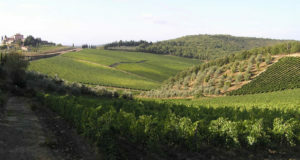 You will savour its rich rural traditions and historic heritage from Bronze Age “Stele” statues to medieval castles and churches, and settle into a genuine Italian rhythm and lifestyle, finding time to be closer to nature and delight in its simple pleasures. The course, organized and conducted by Langues Services Firenze, will include indoor and outdoor lessons, both in the locations of The Watermill at Posara and in the surrounding areas of the region. You’ll practise, in a natural setting, what you’ve learned in the lessons, whether it’s visiting historic sites and natural beauty spots, walking in the wonderful scenery, shopping in the market square, buying train tickets or chatting with the locals over a coffee or at dinner. All the activities will be tailored to suit the students’ aspirations and will be all conducted in italian by our mothertongue teachers. The first week-long language holiday will take place from Saturday 25 April 2015 to Saturday 2 May 2015. All enquiries about the language holiday bookings can be directly made to the Watermill at Posara.